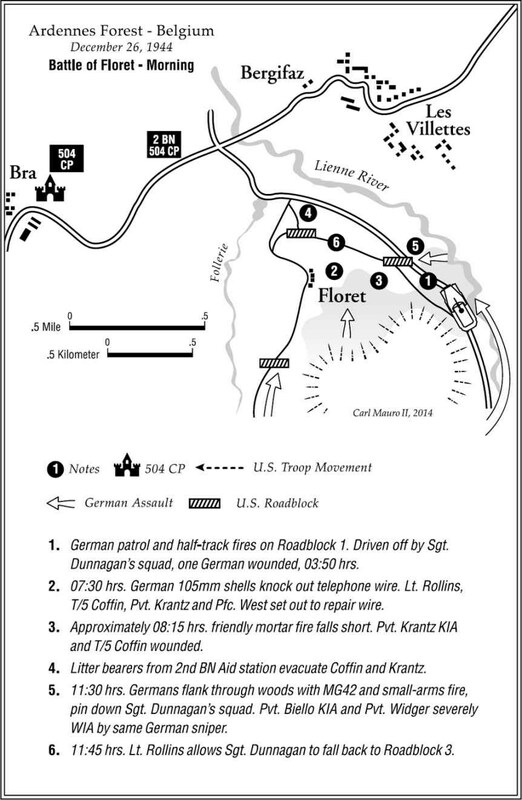 In the late afternoon of December 26, Colonel Reuben H. Tucker’s troopers of the 504th Parachute Infantry Regiment experienced a trying time as SS-Hauptsturmführer Josef Altrogge’s battalion closed in on their objective at Bra. Earlier that day, Altrogge had sent out a small patrol ahead of his 6th Company, which made fire contact but managed to pull back without casualties. The patrol reported that a frontal assault would be suicidal, but the hills to the left and right of the village seemed to be less defended and thus a better route. Altrogge called up his regimental commander, SS-Obersturmbannführer Emil Zollhöfer, and asked permission to change his orders from a frontal assault to a pincher moving attack. But Zollhöfer disagreed, as the orders were to take Bra before nightfall and to change the outlay of the attack required valuable time. First Lieutenant James Megellas, commanding H Company, 3rd Platoon, recalled that “the Germans opened up with mortar fire on our entrenched positions, then followed with heavy artillery. Behind the artillery barrage, the infantry charged out of their concealed positions. They came at us waving their arms and weapons and letting out bloodcurdling yells. Behind them, German machine guns opened up, providing overhead fire for the advancing troops, while their artillery kept pounding our positions. We kept low in our deep foxholes until they got into range; then we opened up with everything we had. “Our first volley dropped a number of the enemy, but a second wave soon followed, screaming and yelling and charging past their fallen comrades. Repeatedly they kept streaming out of the woods, still employing the same tactics. But in the face of our withering small-arms fire, they were unable to penetrate our positions. Captain Frank Boyd of the 376th PFAB saw the Germans enter the east side of the village, near the Regimental CP in the chateau: “The Germans attacked in force. I remember standing in a window of the heavy stone building directing artillery fire with a telephone in one hand and a radio microphone in the other as [Sergeant] Barr and [Pvt. Abel] Fernandes killed German soldiers with their rifles, firing from the same window. They got that close. The 376th dropped a concentration only 100 yards in front of the 504th line of foxholes and broke the assault. We got a lot of praise from the doughboys. German artillery fire meanwhile took its toll. Pvt. Rodney V. Buchman of Service Company was killed while loading supplies on a truck. Pvt. Donald Dukovich, a medic in E Company, was wounded and later decorated with a Silver Star for “action on 26 December 1944, about one and one half miles from Bra, Belgium. During a tremendous barrage of artillery and mortar fire from the advancing enemy, Private Dukovich, Company Medic, set out to give aid to a squad of men, of which many had been wounded by the heavy combat action. On his way forward, he was wounded but he kept going and efficiently administered necessary first aid to the men. He then made many trips to evacuate the men safely to the rear slope of a nearby hill. First Lieutenant Marshall W. Stark of C Battery, 80th AAAB, had set up his four 57mm guns in support of the 3rd Battalion defensive line: “Considerable activity and movement could be observed in the woods to the front of the positions at several points along the division defensive line. Not only could movement be observed, but as the afternoon progressed, shouting and yelling such as one might hear at a football game could also be heard. Finally, at about 1600 hours, an attack was launched. It was unsupported by anything other than numerous machine guns and mortars, and consisted of great numbers of the enemy running forth from the woods, shouting, yelling and cursing in the American language. In crossing the wide open spaces between the woods and our front lines, they made little or no attempt to use any natural protection like ditches, but just kept running. Devastating fire from our weapons rained down on them, but still they continued to pour forth from the woods. “All members of the antitank squads had been trained to be cautious about disclosing gun positions against targets other than tanks, but at that time if they had good targets, squad leaders could use their own judgement about opening fire. Many mortar and machine-gun positions could be easily seen from the antitank gun positions, so two of the squad leaders elected to open fire and in a short time all four guns had joined in the fight. Those men from squads not engaged in hauling ammunition or loading were firing their individual weapons. Numerous of these mortar and gun positions were knocked out by direct high explosive fire from antitank weapons. Two of the guns were located on the front lines, so that during the attack a few Germans came to within 100 yards of the guns before they fell, killed or wounded. On December 27 American dive bombers spotted and successfully bombed the positions of SS-Panzer Artillerie Regiment 9. Their regimental commander, SS-Obersturmbannführer Ludwig Spindler, was killed while he drove from his command post at Gernechamps near Lierneux to visit one of his three batteries when a dive bomber spotted his vehicle and dropped a bomb that exploded nearby. Bomb splinters fatally hit him in the chest and wounded his driver. Command passed on to SS-Sturmbannführer (Major) Franz Jakob. Unfortunately, Spindler’s death did not bring about any decrease in German artillery. Meanwhile the SS-Panzergrenadier Regiment 20, 9th SS-Panzer Division, made another attempt to take the villages of Vaux and Chavanne, held by the 325th GIR on the regiment’s right flank, and SS-Panzergrenadier Regiment 19 once again attempted to take Bra and Les Villettes. Despite its concentrated efforts, the 9th SS-Panzer Division was unable to break through the lines of the 82nd ABD, which was backed up by the 703rd Tank Destroyer Battalion and A Company of the 740th Tank Battalion, among other units. 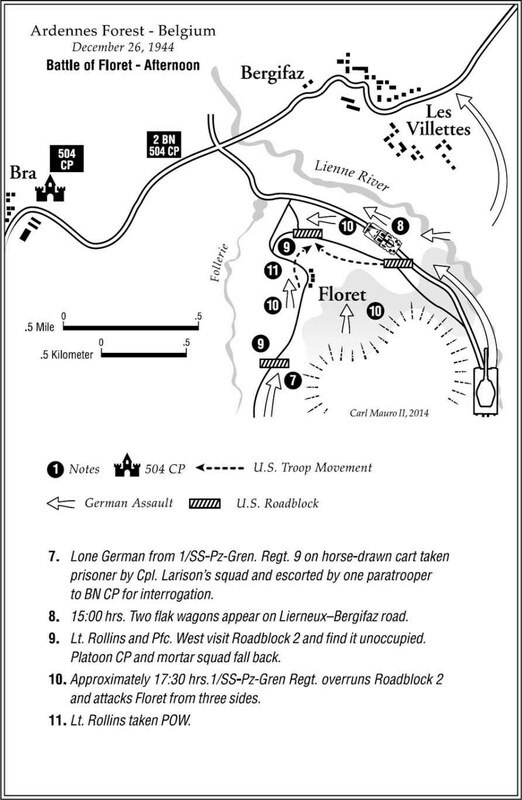 Captain Kappel’s H Company was not so fortunate: their outpost #4, manned by a rifle squad of First Lieutenant La Riviere’s 2nd Platoon, was attacked around 1500 hours. Ten minutes later the news came through that the position was pinned down and one man had been killed. La Riviere immediately gathered some men and headed for his outpost, whose occupants had been forced to fall back before he arrived. First Lieutenant Harold A. Stueland, the forward artillery observer, was at the outpost with his assistants and directed 60mm mortar fire and later also artillery fire on the assaulting Germans. He estimated at 1700 hours that about 100 Germans had been hit and one tank had been knocked out. At 2300 hours La Riviere again took a few men out and located the bodies of the squad leader, Sgt. Robert A. Tague, and Pfc. Clarence T. Smith. Tague had distinguished himself during the Waal River Crossing and was well known in the 3rd Battalion, so his death was especially a great shock. “On the morning of 28 December,” wrote Campana, “the regimental commander made another inspection tour and paid us a visit. After he left, I ate my Christmas dinner, which consisted of a small piece of cold turkey, supplemented with crackers and jelly obtained from the artillery liaison party, who always seemed to be well fed. About half an hour later, we noticed shells being dropped about 200 yards from the CP. Seconds later, the rounds came much closer, showering dirt against the window panes. “The battalion commander immediately ordered everyone down to the cellar. There we huddled, listening to the shells shattering the window panes and shades. Suddenly, a terrific noise was heard and a gaping hole in the cellar wall became visible. Some of the men were showered with debris. The battalion commander immediately ordered the artillery liaison officer to get some artillery fire on the enemy weapon, which appeared to be a self-propelled gun. Orders were then issued to evacuate to the new CP located in the wooded draw. The battalion commander later told me that the gaping hole in the cellar wall had been caused by a dud from at least a 105mm gun. The dud had rolled underneath the cellar stairway a few feet from where we had gathered. The German artillery fire on December 28 came once more from the 2nd Abteilung of SS-Panzer Artillerie Regiment 9, set up in the vicinity of Ramont, east of Floret. At 1428 hours three 105mm rounds landed near the Regimental CP. German mortar fire pounded the company positions. Around 1545 hours five mortar rounds landed in the right flank of E Company and slightly wounded Privates First Class Homer G. Eckerman, Robert L. Farrington and Samuel R. Shepler and Privates Peter E. Gallagher and Albert C. Lodovici. In a different barrage that day, two other E Company troopers, Privates Max W. Fleming and Leonard M. Lilley, were more seriously wounded. Lilley died of his wounds the next day. SS-Brigadeführer Sylvester Stadler’s division was the principal opponent of the 504th RCT until December 30, when it was extracted piecemeal from the front lines and replaced by the 560th Volksgrenadier Division. 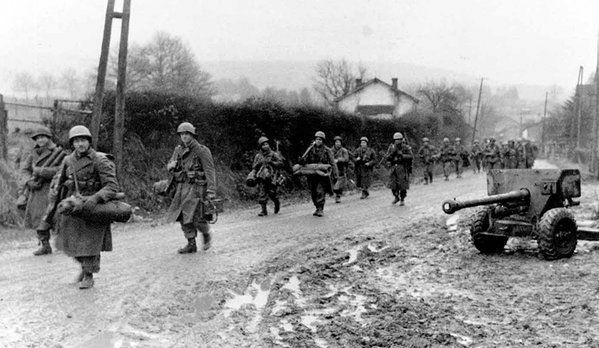 The capture of Bastogne required more German armor; they had failed to get through the 82nd ABD, but the German field commander in the west, Generalfeldmarschall Gerd von Rundstedt, thought the 9th SS-Panzer Division might be able to crush the 101st ABD like it had previously crushed the British Airborne at Arnhem. Little did he know that he would get a bloody nose in Bastogne too, where the 101st was backed up by elements of two U.S. armored divisions. 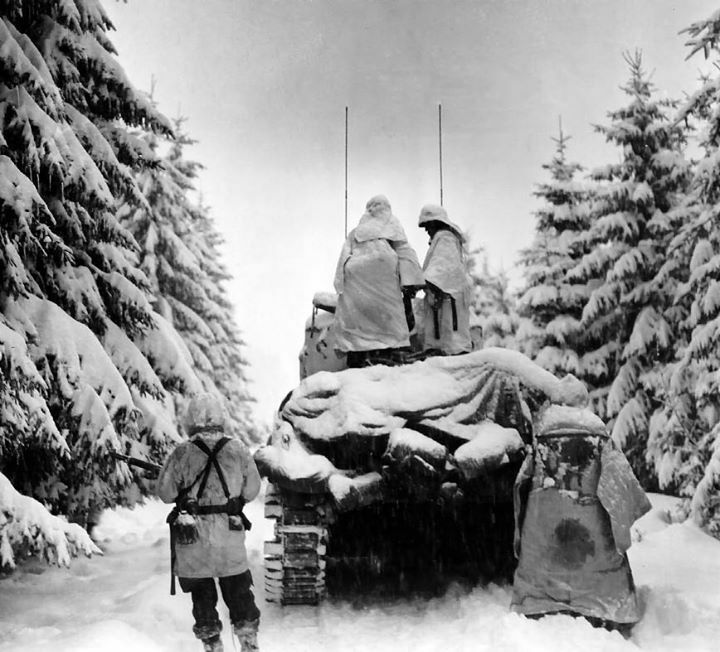 December 29 was the last day that the German panzer division made its presence felt in the 504th positions. Heavy artillery shells rained down on the I Company area at 0055 hours, and three hours later it was discovered that the company telephone line had been cut in three different places. By 0930 hours one of the forward artillery observers from the 376th PFAB spotted an enemy gun that had poured some 15 shells into Bra and fired a counterbattery on it. Captain Kappel called the 3rd Battalion CP to report he had successfully placed another 20 concertina wires and 30 antipersonnel mines in his sector, and requested that a shot-down B-17 bomber that he was using as outpost #2 out in no-man’s land be prepared for demolition. German shelling of the town continued throughout the day, including phosphorus grenades that set two houses on fire. At 1840 hours, OP #5, manned by I Company troopers, was fired on and one man was wounded in the leg. December 31 saw various patrols, including an I Company patrol led by 2nd Lt. George Amos, which Capt. Moffatt Burriss photographed as they were setting out to recon the German lines to the south near the village of Xhout-si-Plout. When Amos returned at 1400 hours, he reported that they had located three positions where Germans had dug in along their defensive line and discovered one of the enemy’s outposts. They had inflicted heavy casualties: three Germans killed and probably eight wounded. One of the ten troopers in Amos’ patrol had also been wounded. Second Lieutenant Burnum, 1st Battalion Demolition Squad, had a bad cold and felt so miserable after marching through the snow on patrol that he finally checked in at the 1st Battalion Aid Station. It was determined he also had a serious case of trench foot and he was evacuated to a hospital in England. Also killed that day were Privates Wayne E. Mack and Anthony S. Kavaleski, two E Company troopers. It is probable that they, too, were lost on patrol duty, but this cannot be confirmed due to lack of information. Private First Class William K. Myrick of F Company and 1st Lt. Patrick C. Collins of E Company lost their lives on December 31 as well. Garrison remembered that “I managed to gasp, ‘Shrapnel!’ When they maneuvered out from under my weight so as to have some freedom of movement, Wellems asked, ‘How bad is it?’ I answered, ‘I’ve an internal injury. […] I’m spitting blood—I taste it.’ He untied the morphine kit attached to the side of my jump boot and gave me the shot that we were trained to administer. Either I fainted from my shock or reacted quickly to the morphine; but some time passed, because Wellems’ voice came through a mental fog to me when he said, ‘Chester, we have problem. The stretcher-bearers are here. We are trying to figure the best way to get you out.’ I remember saying, ‘Tell them to grab my ankles and pull.’ They did, and we started down the nearby field to the road where a jeep waited. Whether or not my drugged condition stimulated my imagination, I had the impression that the four stretcher carriers, including Victor Campana, twice slipped on the icy slope and fell with the stretcher in slow turns. Thirty years later, Victor complained that I had been unwieldy.